You may feel like you live in your car, especially if you drive to work diligently each day. 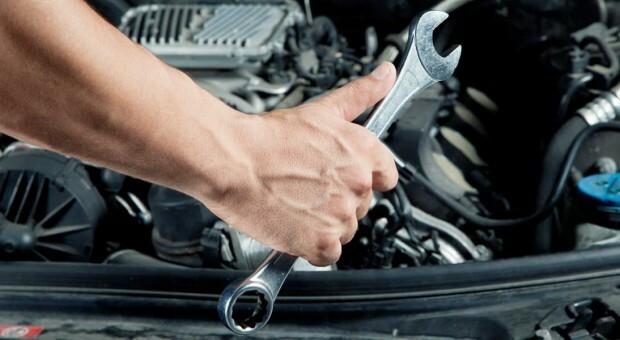 However, your vehicle is a mechanized machine, requiring periodic maintenance to keep it running smoothly. Although you may change the oil and replace the battery periodically, there are some upgrades that are relatively expensive, but extremely important to replace to stay safe on the road. Your car’s timing belt snakes through your engine, keeping it running smoothly. It keeps the camshafts spinning, effectively allowing the engine to combust fuel. If the belt snaps, it can damage critical engine parts. Repairing this damage is often equatable to a new car price, especially when you add in parts and labor. To avoid this car catastrophe, it is best to replace the belt between 60,000 and 100,000 miles. Your car’s manual will typically give you a service schedule, based on the manufacturing specifications. However, basic observation can help you pinpoint the right time to replace it. As you look into your engine, the belt should be tight without any major wear or damage to it. If it looks ragged, it is time to change it. Aside from the engine, your transmission is one of the core parts of the entire car. You should be changing the transmission oil periodically to preserve its lifespan. However, neglecting the transmission may mean that it seizes in as little as 100,000 miles. Costing several thousand dollars, you can replace the transmission with a rebuilt model for a discounted price. If you opt for a brand new transmission, it may cost as much as a new car. Avoid this major car upgrade by servicing your transmission faithfully through the years. If you have ever turned the key in the ignition, and heard a click, you know that the car’s electrical system is critical to basic operation. From providing the initial ignition to powering the radio, you need a quality battery and alternator configuration. Your alternator is a recharging machine. It provides electrical energy to your battery to recharge it during a drive. Without the alternator, your battery essentially runs out of power. The alternator may fail between 40,000 and 100,000 miles, depending on the car model. Costing several hundred dollars, the car won’t run at all until it is replaced. You can try to jump a car with a bad alternator, but the charge will not last long. If you see your electrical system flickering all the time, it is a good idea to have a mechanic inspect the alternator. Tires are a different upgrade that must be checked once a month. On average, some tires can last 5 years, whereas others can reach 10 years old. However, these lifespans depend on many environmental factors. If you drive a lot, the wear reduces the lifespan, along with the heat involved. Tires that are not driven a lot, such as on a weekend car, may succumb to cracking from pure age, heat or moisture. Keep an eye on your tires to avoid blowouts. You should have good tread on the tires. Any smooth areas indicate that they need to be replaced. To keep up with these upgrades, you need to have significant money saved up. Because saving money may not be an option, auto refinancing is a safe and viable option. If your car has seen younger days, refinance your car to pull cash out for any upcoming repairs. Being prepared for an issue allows you to make reasonable decisions, and find the right mechanic. Maintaining a car over the years does take some monetary investment to keep it running safely. Evaluate your car periodically to estimate any upcoming repairs. Try to replace key parts before they break completely to reduce damage to other car components. Your car can run for more than 150,000 miles with proper care.